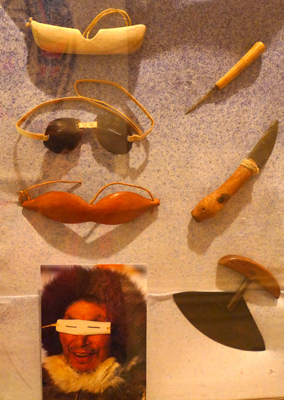 Last Summer I randomly discovered the Mitchell Museum of the American Indian here in Evanston, and made a mental note to visit it. So when we were looking for places to host NEW events, I decided to give our cultural knowledge a boost and book our Meet & Munch there. 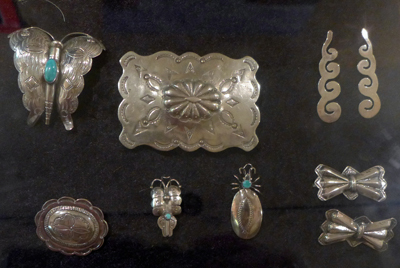 The museum was founded in 1977, when John and Betty Mitchell decided to make the Indian artifacts they had collected available to the public. John Mitchell met Native Americans during his summer work on a farm and wanted to introduce others to their rich culture. 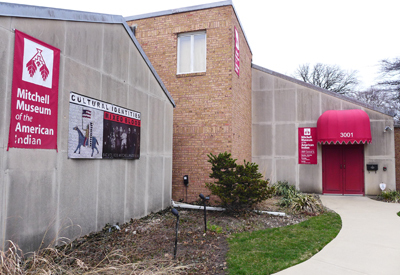 Initially the museum was part of Kendall college but eventually became an independent non-profit organization. 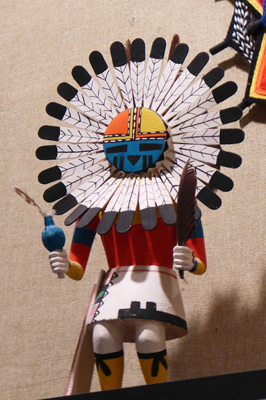 The Mitchell Museum’s mission is to promote and share a deeper understanding of Native American peoples through the collection, preservation, and interpretation of their traditional and contemporary art and material culture. 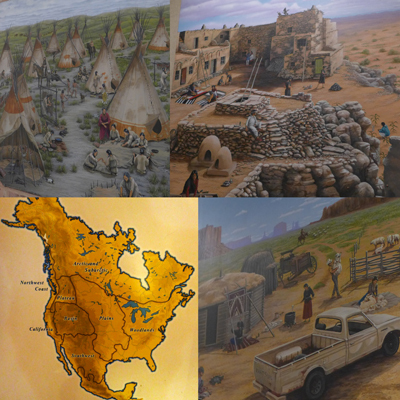 We were taken across the country with exhibits of the Woodlands, Plains, Southwest, Northwest Coast, and Arctic regions of the United States and Canada. 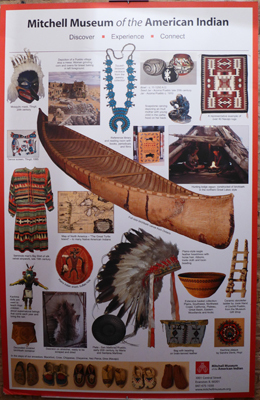 We learned that the relationships to tribes by early settlers varied by nationality, some more eager to collaborate and intermingle (the French), others merely seeing native Americans as a labor force (Spaniards) and others wishing to convert the tribes (British). 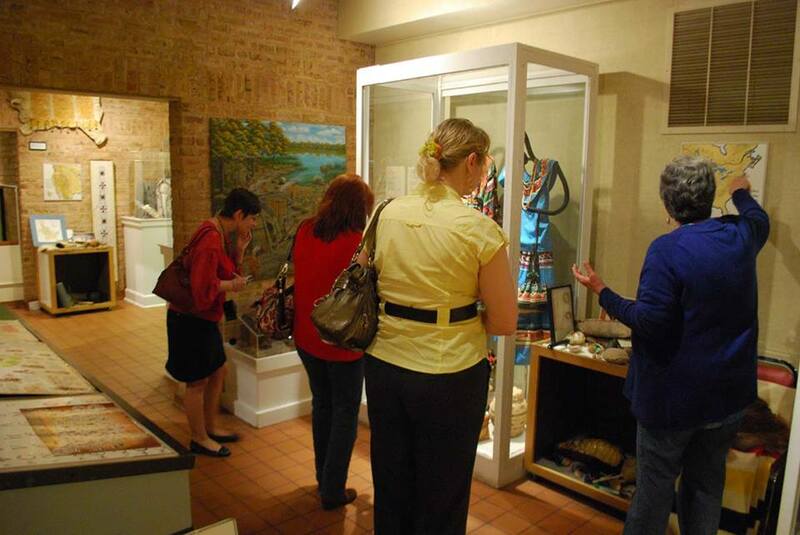 Our docent Barbara Johnson shed light on the misrepresentations of history and how our vocabulary for the tribes are a result of biased perspectives and things getting lost in translation. Wigwam, for example means a house made from birchwood, but has come to be a generic term. Teepee translates as ‘where they live’ when we associate it with a particular type of structure (home vs. castle/bungalow/cottage etc.). Some of the tribal names are based on the feuds between tribes, Apache meaning Enemy and Sioux meaning little rattlesnakes. True tribal nomenclature will take some time to take hold. 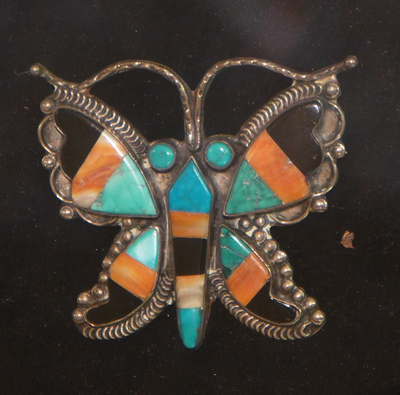 Beads are one way to determine when Native American tribes interacted with European settlers, as this was an object not indigenous to Native American Art. 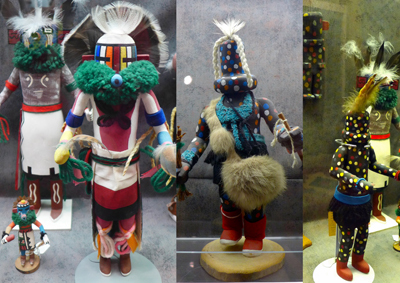 We perused a lovely collection of garments, tools, kachina dolls, jewelry and other artifacts that mesmerized us. Tawa is my favorite from my Arizona days. 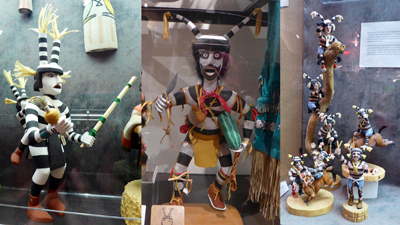 The clown kachinas are quite reminiscent of other mischievous characters in pop culture. 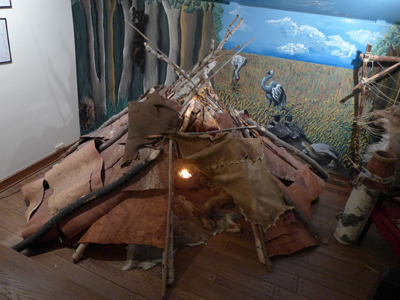 Upstairs, where temporary exhibits are located, we discussed the art of storytelling and the parallels of tribal tales to other cultures trying to figure out the origin of the earth and the elements that are part of life. 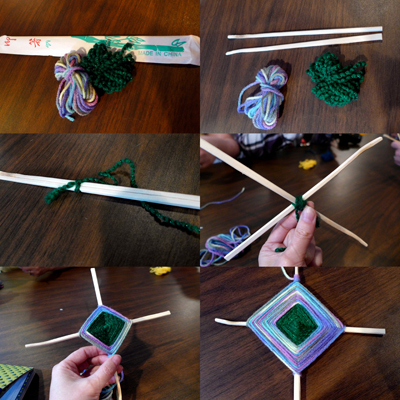 To cap off the delightful visit we made a God’s Eye out of chopsticks and wool. 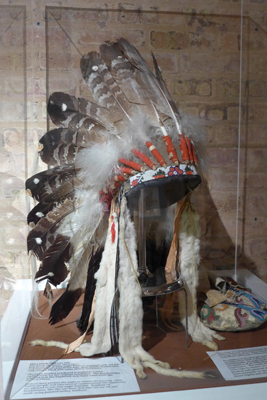 Tribes would create a God’s Eye for a child, wrapping one round for each year of its life until it was five years old, when it was assumed the child would survive. The ritual is intended to serve as protection and teach the child spirituality. Crafting in communion is such a joy. Our next NEW event is this Thursday, May 22 at Escape Salon and Spa from 6 to 8 p.m. Join us at 505 Crescent Blvd, Glen Ellyn, IL for soothing mini spa treatments, joyous networking, and a sip of relaxing wine. While we kicked off NEW in May last year, our birthday party will be in June, at our original host Avalon Salon & Day Spa. 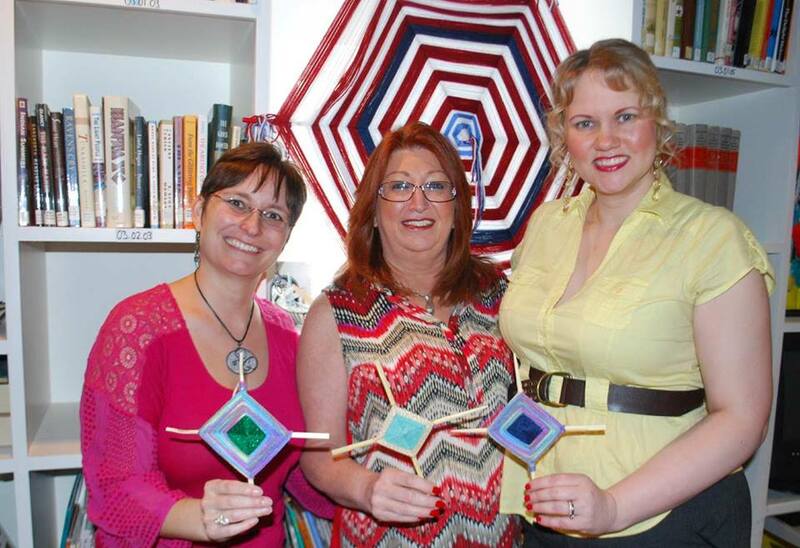 Join us for a party and charity raffle on Wednesday, June 11 from 2 to 4 p.m. 20530 North Rand Road in Deer Park. 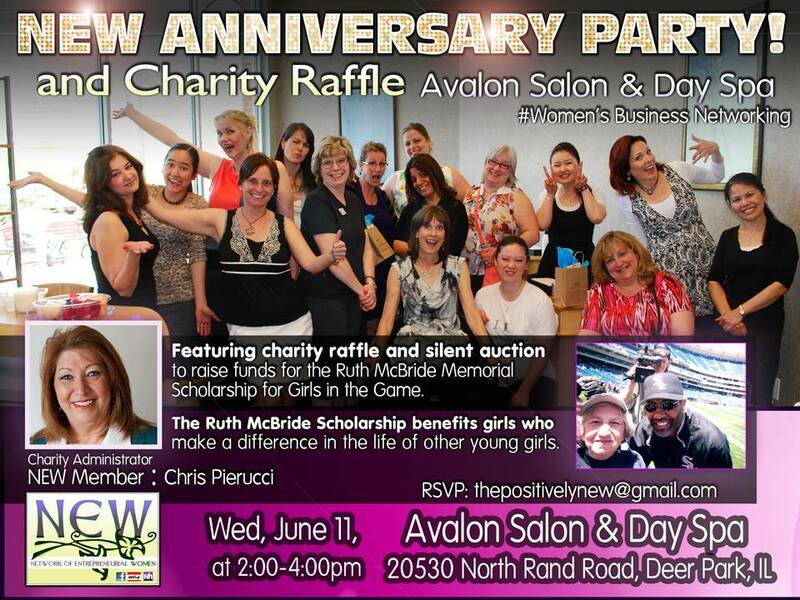 We believe in paying it forward, so in lieu of birthday presents to ourselves, we want to offer young ladies in need the opportunity to live their dreams with a charity raffle and silent auction to raise funds for the Ruth McBride Memorial Scholarship for Girls in the Game. While we bid on member-donated pieces, we will munch on festive goodies, sip on teas, tour the fabulous themed massage areas and hair salon, and celebrate our milestone with relaxing mini hand and neck massages. Please consider donating to our raffle and auction via this form. On June 16 we will discuss how to brag; Self Marketing for the Women’s Business Owner in Hyde Park at 57h Street Books. 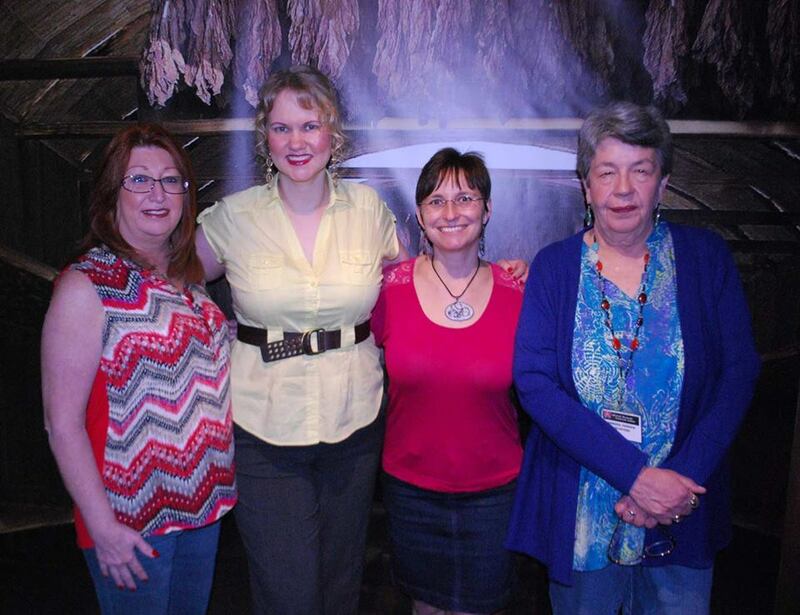 Mark your calendars for these fabulous events and more on Meetup or Facebook. NEW – The Network of Entrepreneurial Women is a group of Chicagoland business women who are upgrading business networking with fun and creative events that inspire attendees to work together, refer each other and most of all cheer each other on as the membership succeeds.